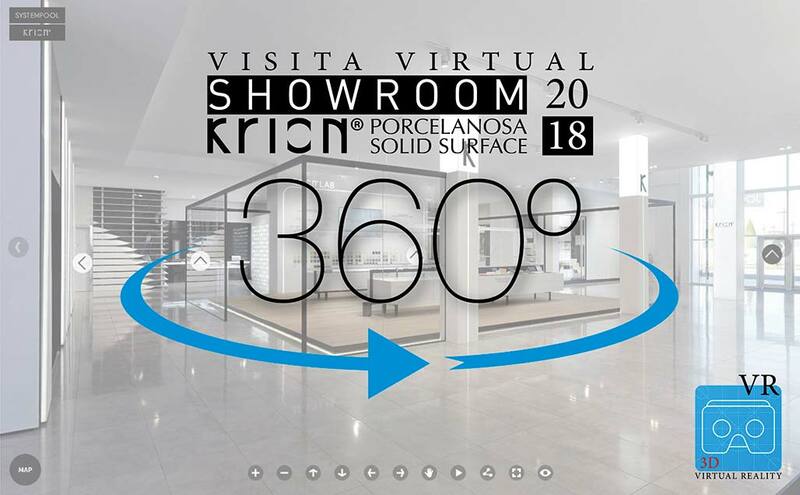 For another year, with the commitment of presenting the properties of our material to the largest possible number of people, we present the KRION Showroom 2018 Virtual Visit. As usual on the lower floor of the display, we find KRION in sheet format, transformed into the atmospheres of different sectors – Retail, Clinic, Restaurant, etc. – and a nerve centre in the form of a Lab, where many of the properties of KRION are explained. Notable on the upper floor are the KRION Bath series and SP Bath products. As a reminder, if you have visited our installations in Vila-real, and for all those who have not been able to come and see the properties and possibilities of KRION, we invite you to enter our virtual installations and enjoy the possibilities of our materialKRION. Virtual visit created by the company: Hoyoyo Photography & Visual Lab.